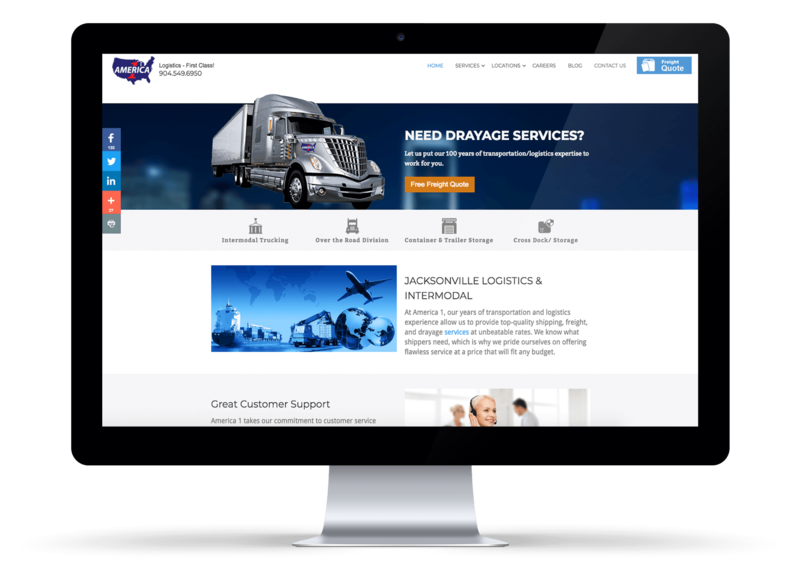 Having no previous online presence and unsure if having an online presence could help, America 1 Logistics let 904 do their magic. We created a super easy to use custom website with the flat layout. Brilliant call to actions and online freight request forms fill the web pages and promote online submissions. Using our research and the customer's input, we also implemented a phone call tracker which results in an average of 40 new calls a month.